by Norm Dobbins and Debra Oxley, 72 pp. 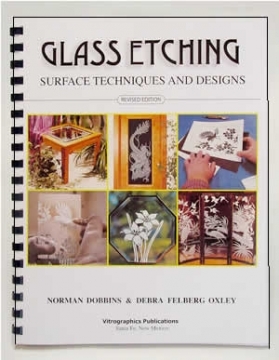 This book provides complete instruction for the multi-stage carving technique of abrasive glass etching. Topics include: How to obtain the best type of artwork for carving, analyzing the design for correct sequence of blasting, controlling the shapes carved into the glass, dealing with intermediate challenges, selection and use of equipment and materials, and safety procedures. 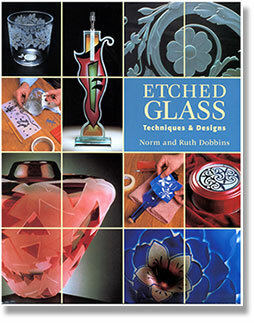 The book also features 27 full color photos of finished projects and over 70 designs suitable for small gift items to large table tops and glass doors. All designs in the book may be ordered as pre-cut stencils on a variety of resist materials.